Before beginning, it is important to note that there is not a lot written about Mara in English. Most of the scholarship done about her is written in Serbian, and as The Nerd is not familiar with Serbian, translation apps were used to translate web pages and documents. The Nerd apologizes in advance for any mistakes or misrepresentations which may have occurred because of translation errors. The only known portrait of Mara. 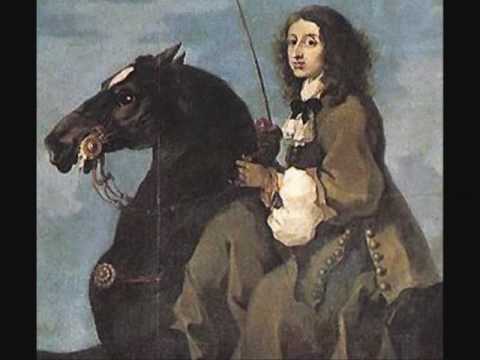 As far as obscure Slavic princesses go, Mara Branković, eldest daughter of the Serbian Despot¹, Đurađ Branković, is pretty obscure. She has been all but forgotten to the world, yet for several decades she was one of the most important diplomats in Europe, helping to keep a tenuous peace between the Muslim Ottomans, and the Christian everybody else. Mara was the daughter of Đurađ Branković and his second wife, Irene. Maybe. She may have been the daughter of Đurađ's first, unnamed wife. The documentation is shaky, and it's difficult to know exactly when and to whom Mara was born. What is for sure is that she was the second of five children--two girls and three boys. Serbia, at the time, was in a shaky spot. Sandwiched between the rapidly growing Ottoman Empire, and the land hungry Hungarian Empire, Serbia was put in the precarious position of having to serve two masters who didn't like each other. Đurađ had been able to gain the position of despot by only the skin of his teeth, after the previous despot died without an heir. he required the approval of the leaders of his powerful neighbors to retain his position. 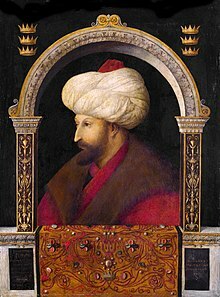 In order to appease the pair, he gave his daughters to them in marriage, Mara to Sultan Murad II, and her sister, Katrina, to the Count of Hungary. Mara was 21 at the age of her marriage in 1433. The sultan was fifteen years older than her, and already had a wife and an heir. Murad supposedly wasn't initially too keen on marrying the daughter of his lowly client king, but when her father offered most of Serbia as a dowry, Murad seized on the opportunity. The years of Mara's marriage were fairly quiet. Murad favored Mara, but reportedly never consummated the relationship. Mara got on well with Murad's other wife, and his son. She served as an intermediary between her father and her husband, trusted by both sides to be fair and honest. There was one major incident during the years of Mara's marriage. In 1438 Đurađ got uppity. Murad really wanted to attack the Hungarian Empire, and while Đurađ promised to remain neutral in the conflict, he refused to allow the Ottoman armies into his territory. Murad wasn't too pleased about this. He started conquering Serbia, taking almost the entire country, and sending Đurađ running to Venice. Mara was, reportedly, furious. The Sultan had ordered that she not be told about the deed until after it was done. When she found out she reportedly threw her husband under her feet, screaming at him, making it more than clear that he had gone too far this time. Regretting his actions, Murad ordered that the person who blinded the brothers also be blinded as recompense. Because that would certainly rectify the situation. In 1444 the conflict between Serbia, Hungary, and the Ottomans was put to rest, with Mara playing a not insignificant part in the proceedings. After a few months of peace Murad abdicated, leaving his thirteen year old son, Mehmed II, in charge of the country. Murad, Mara, and a few other companions retreated to the countryside, with Murad coming out of retirement every so often to conquer important bits of land for his son. He died of an apoplexy in 1451. This left the twenty year old Mehmed the sole Sultan in the empire. He and Mara were very close, she had become a sort of surrogate mother to him after his own mother died in 1449. When Mara asked to return to Serbia after her husband's death, Mehmed was more than happy to let her go, taking the extraordinary step of releasing her from the harem. It must be noted that Mara and Mehmed's relationship would have been vastly different had she had children. Ottoman princes were notoriously fratricidal, with Mehmed himself making it legal to kill a brother who was in line for the throne. Any child of Mara's would have been a threat to Mehmed, and he could not have risked letting Mara or her child out of the country. Fortunately, Mara was childless, and posed very little threat. Mara returned to her family in Serbia, all of whom were remarkably still alive, if not still in possession of all important organs. With Mara returned the vast swathes of Serbia that had served as her dowry, and Đurađ found himself the happy owner of more land than he had before. Unfortunately for Đurađ, Mara had had it with marriage. After Murad's death she had vowed never to marry again. Remarkably, her father (and later brothers) respected this vow, and she refused not only the Byzantine Emperor, but important Czech nobleman and ally against the Hungarians, Jana Jiskru. When Đurađ died in 1456 a power struggle between his sons ensued. Gregory, the eldest brother, backed by Mara, Irene, and their powerful uncle Thomas, was challenged by Lazar, the youngest brother, backed by his wife and Stefan. Infighting grew so terrible that Irene died, and Mara returned to the Ottoman Empire. Mara was welcomed back with open arms. She was given several towns and properties, and retired to Ježevo,⁵ near Mount Athos in modern Greece. It is notable that she retired to this area, as women were, and still are, forbidden to approach Mount Athos. Mara was the second woman ever to enter the area, and had to receive special permission from the monks in the area. However, given that she owned many of the monasteries, getting permission must have been easy enough. It was, however, less easy for Mara to get her sister, Katrina to Ježevo. When Katrina's husband died in 1456, Katrina divided up his property, and peaced out of Hungary. She appears to have moved with her sister to Macedonia, though if they were in modern Greece Macedonia, or the FYROM is uncertain. 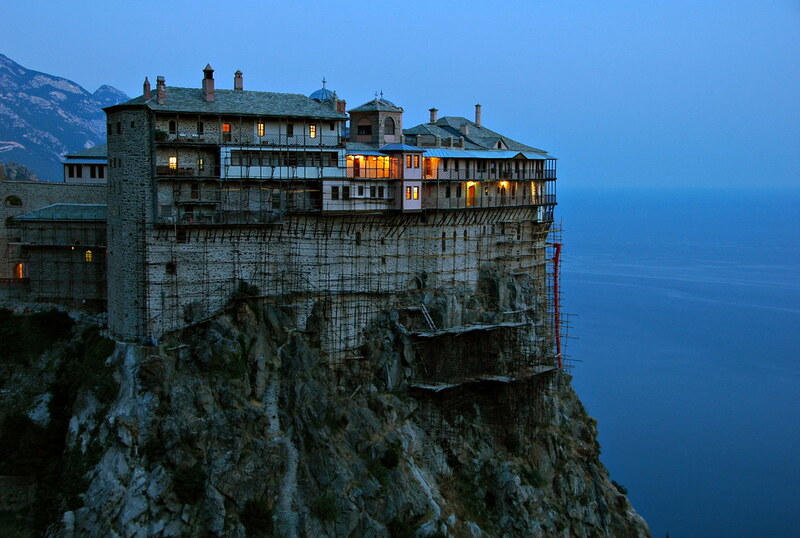 Monastery of Simonos Petra, located on Mount Athos. From their home, the sisters played mediator between the powerful Republic of Venice and the Ottoman Empire during the Venetian-Turkish war of 1463-79. The Venetians sent their emissaries to the sisters, and the sisters would pass on their messages, or accompany the emissaries to Constantinople themselves. They took the further step of using Mount Athos, essentially a neutral ground, for negotiations between the two countries. Mara's other notable political interventions involved the election of the Patriarch of the Eastern Orthodox Church. In Mehmed's time becoming Patriarch involved paying an obscene amount of money to be appointed by the Sultan. In 1465, Mara convinced Mehemed to appoint her personal priest, Dionysius, as patriarch. Unfortunately, Dionysius didn't last long in the role, but Mara was able to see him peacefully retired to Mount Athos. She tried again with Rafael, a Serbian monk, but he was unable to raise the required funds, and was reduced to begging in the streets of Constantinople. Mara died peacefully in 1487, and was buried in the Kosinitza monastery. She left behind her a large amount of wealth and religious relics, which was vigorously fought over by her family. She also left behind a legacy of diplomacy and peacemaking. Her advocation for the rights of Christians in the Ottoman Empire lead to some small amount of peace between the groups, and her interventions with the Venetian Republic led to a few decades of tenuous peace. ¹The term 'Despot' is not commentary on Đurađ's ruling skills, but is, instead, the official title of the ruler of Serbia at the time. ²Other stories claim that the Sultan had the brothers blinded over jealousy. The brothers were excellent hunters, and Murat apparently couldn't stand that. ³Or, perhaps, he simply didn't like to be yelled at. That should also be taken into consideration. ⁴For those protesting that the Byzantine Empire and the Ottoman Empire are the same thing, it should be known that Istanbul was not always Constantinople. The Ottoman conquest of Byzantium was not complete until 1453. ⁵It has been difficult for this historian to ascertain exactly where and what Ježevo was. There is a city called Ježevo in modern Croatia, but as far as this historian can tell, it is not the city Mara settled in. Given Mara's involvement in Ottoman affairs, it seems unlikely that she would have settled as far away as Croatia. Additionally, Mara was heavily involved with affairs on Mount Athos, a holy mountain near Thessaloniki, Greece. It seems likely that Ježevo was the name of a small village, or even the name of Mara's estate near there. This article is gratefully dedicated to M. Kellogg, who inspired and encouraged its development. Holy Roman Empress Theophano (sometimes spelled Theophanu or Theophania), was a Byzantine princess, who has the singular honor of having introduced the fork to Northern Europe. But beyond her taste in cutlery Theophano was also a wise and beloved Empress who helped bring Byzantine culture to the Germans. Theophano was a Byzantine princess, but she hadn't been 'born in the purple', meaning that she had been born before her father was Emperor. Because of this, she didn't have quite as high of a status as the other princesses, a situation that came in very handy for her uncle John Tzimiskes, when it was his turn to be Emperor. See, at this time There were a couple of very powerful empires--the Holy Roman, and the Byzantine. Then there was the Italian peninsula, which was a hot mess. The south belonged to the Byzantines, the north to the Germans, and the Arabs kept attacking the entire thing from their home base in Italy. Out of the two empires the Holy Roman was weaker, so it was no surprise when Otto I decided to try for a marriage alliance between the two states. Admittedly, John Tzimiskes wasn't super keen to ally with the Germans. He did need their militaristic support, but in his mind the Byzantines were waaaaayy better than the Germans, and he couldn't let the Holy Roman Empire think that they stood on equal grounds, so instead of sending a princes who was 'born in the purple' as requested, he sent Theophano. Otto I wasn't happy that he hadn't gotten the 'born in the purple' princess he'd requested, but Theophano brought most of southern Italy with her as a dowry, so Otto got over that complaint really quickly, and Theophano married Otto II. Otto I didn't have too much time to feel bitter, because he died shortly before their wedding, leaving Theophano with only one in law to deal with, the iron willed Adelaide of Italy. While the Germans like Theophano, many of them thought her odd. The Byzantine empire was known for its luxurious, decadent ways, and Theophano was a product of that 'decadence'. She talked too much, she bathed every day, and, strangest of all, she used a two pronged utensil to bring food to her mouth (aka a fork), instead of eating with her hands like everyone else. and blessed by Jesus Christ. Weird foreignness aside, Theophano was an excellent empress. Much like her mother-in-law Adelaide, Theophano lucked out, and was good friends with Otto II. They jointly ruled their empire for about ten years, waging war against the neighboring French, and protecting their lands from Arabs and internal dissent. They had five children together, four of whom survived to adulthood. Then, in 983, Otto died. Fortunately, Theophano had popped out another Otto, and so Otto III took the throne. Unfortunately, Otto III was only three years old at the time, so Theophano assumed the regency. She and her mother-in-law Adelaide combined forces to rule the empire, and kept the whole thing together. 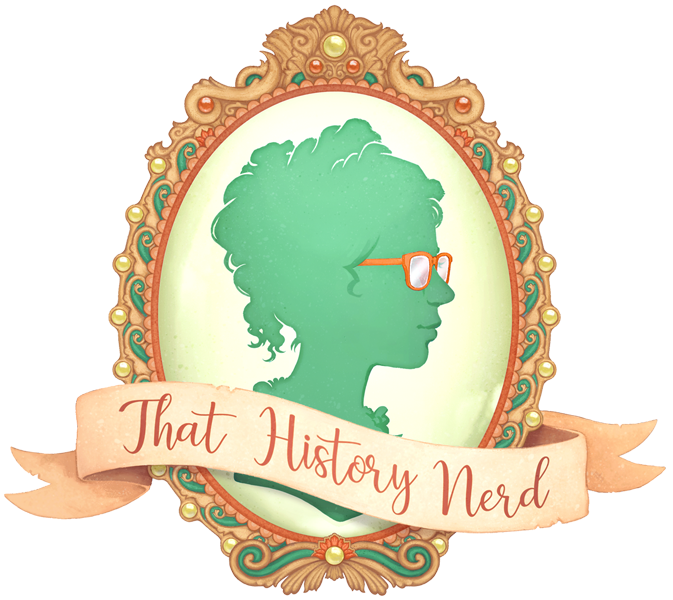 During her regency she repelled another French attack, appointed public and church officials, and ruled Italy, all while maintaining a close relationship with her son. She so influenced Otto III that after her death in 991 he basically ran the Holy Roman Empire in the ground trying to make it more like the beloved Byzantine Empire that his mother spoke so fondly of. After her death Adelaide took over as regent for Otto III, and, because Adelaide didn't particularly like Theophano, she refused to have annual services read on the date of Theophano's death. A smear campaign against her started soon after, and so Theophano wasn't fondly remembered in Germany. She was, and is, however, remembered in modern Turkey, the land of her birth, where she is remembered as a wise and capable leader.